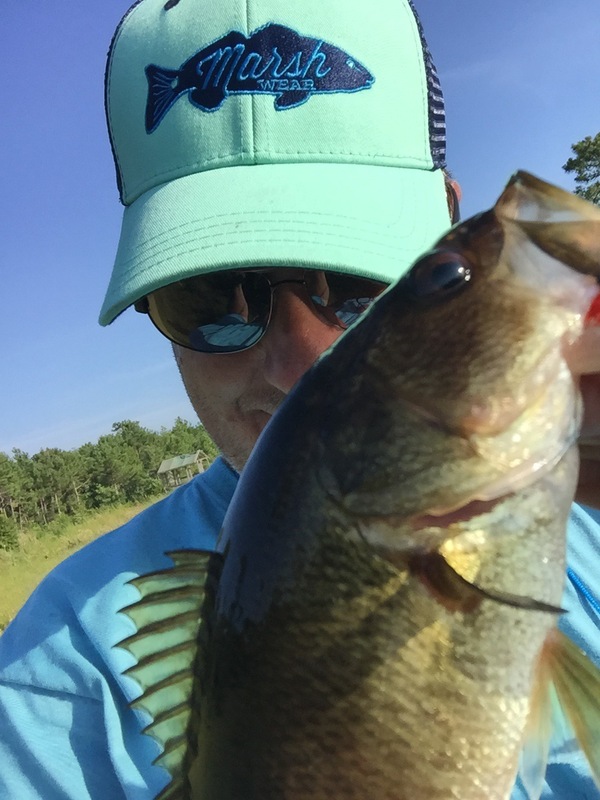 With all the fancy material to make fishing shirts these days I don’t wear much cotton when it gets hot. 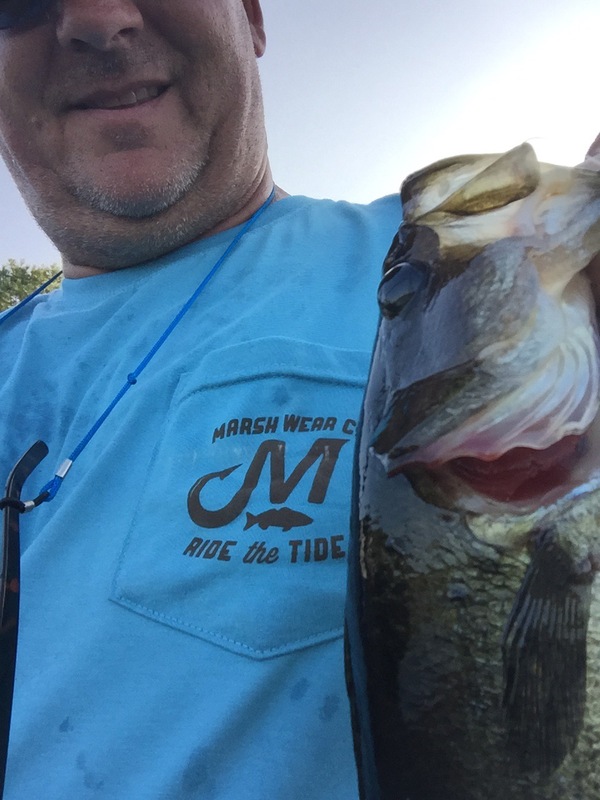 Recently I got a pocket T shirt from Marsh Wear and it was so comfortable out of the box that I just left it when we went out to a local bass pond. Oh yeah I also got one of their cool trucker hats. As you an see it was hot as an oven but we still caught a couple fish but more interestingly, even though I was sweating a lot, I never felt sticky or uncomfortable. It was then I realized there was something about this shirt. I had to check again to see if it was cotton. Yup. 100%. Great work guys.